Place quinoa and 1 1/2 cups cold water in a saucepan over high heat. Cover and bring to the boil. Reduce heat to low. Simmer for 10 to 12 minutes or until water has absorbed. Drain and transfer to a large bowl. *You can leave quinoa to steam some more in saucepan depending on how you like its consistency. 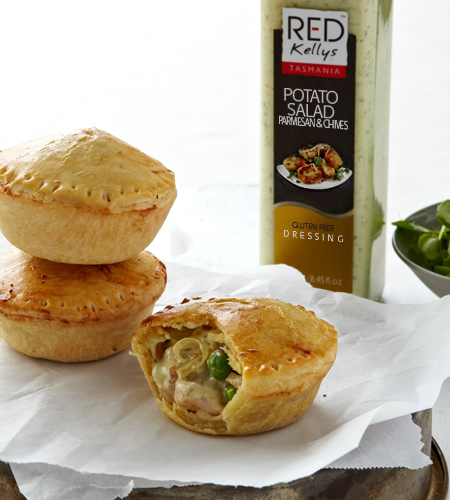 In a screw-top jar, combine olive oil, lemon juice and Red Kellys Basil & Garlic Dressing. Secure lid and shake to combine. Season to taste with salt and black pepper. 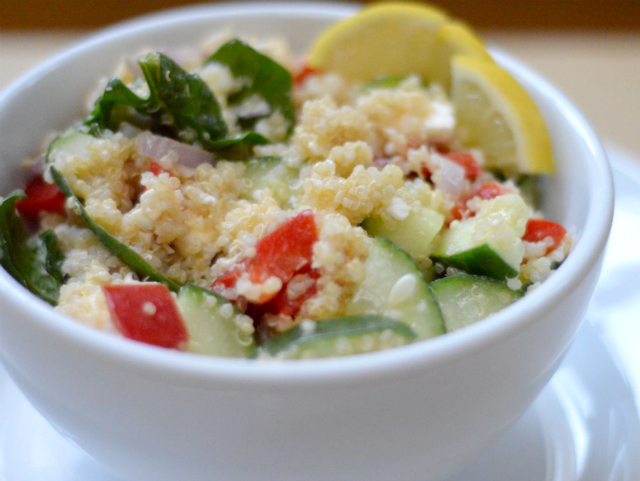 Add parsley, cucumber and dressing to quinoa. Toss to combine. Serve immediately. Enjoy!